MeetATruckDriver.com makes finding Brampton trucking jobs fast & easy! The key to a successful trucking career is having a great source of trucking jobs that will keep you booked and busy. MeetATruckdriver.com is the place to visit if you are a truck driver for hire, looking for driving jobs or want to get started in trucking. We offer many different types of trucking jobs in Brampton. From owner operator jobs to interstate drivers, long haul drivers, local drivers, heavy trucks, flat beds, and even tow truck driver jobs. We provide driving opportunities in all these areas and more, providing independent truckers for hire in the Brampton and surrounding area with a wealth of jobs to consider. Even if you are new to the area or have no experience, finding trucking jobs in Brampton doesn’t have to be difficult. There are 2 easy ways to find Brampton truck driver opportunities near you. Create a FREE MeetATruckdriver.com profile to join our Brampton truck driver community. Don’t worry – it will only take a few minutes of your time. Be sure to add all your skills and abilities. This will allow you to be matched to employers who are looking for truckers with your experience. View existing open trucking jobs in Brampton below and apply for the jobs that match your preferences. It’s really that easy! Find Brampton Truck Driver Jobs Today! Requires 3 years driving experience.clean CVOR/MVR.FULL TRUCK LOAD.WILL MAKE $--... per week.dedicated equipment.Requires 3 years driving experience.clean CVOR/MVR.FULL TRUCK LOAD.WILL MAKE $--... per week.dedicated equipment.Requires 3 years driving experience.clean CVOR/MVR.FULL TRUCK LOAD.WILL MAKE $--... per week.dedicated equipment. Fuel Hauling company offering competitve pay located within the GTA!Fuel Hauling company offering competitve pay located within the GTA!Fuel Hauling company offering competitve pay located within the GTA!Fuel Hauling company offering competitve pay located within the GTA! 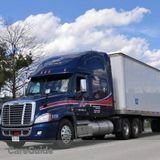 We are looking for drivers to run mid-west with competitive pay.We are looking for drivers to run mid-west with competitive pay.We are looking for drivers to run mid-west with competitive pay.We are looking for drivers to run mid-west with competitive pay.